This Bronson Lace weave is a gift for a very important person in my life this upcoming Christmas. 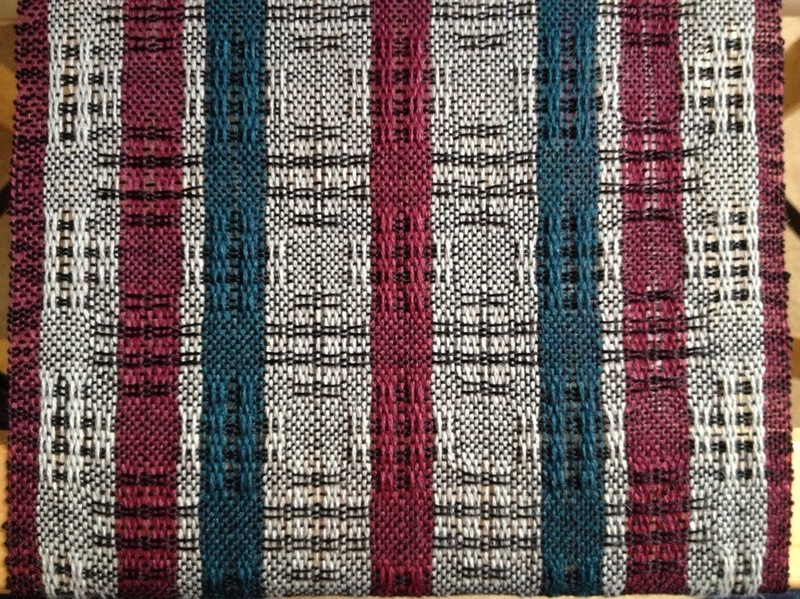 The warp yarn is an alpaca silk blend. The weft yarn is a 20/2 silk. The scarf will be warm, yet lightweight and very luscious. I’ll have to weave it off this week so it will arrive in time for the big day. Kitchen towels of 8/2 cotton. I’ve named this color scheme “Fire”. The first 3 towels will look like this. 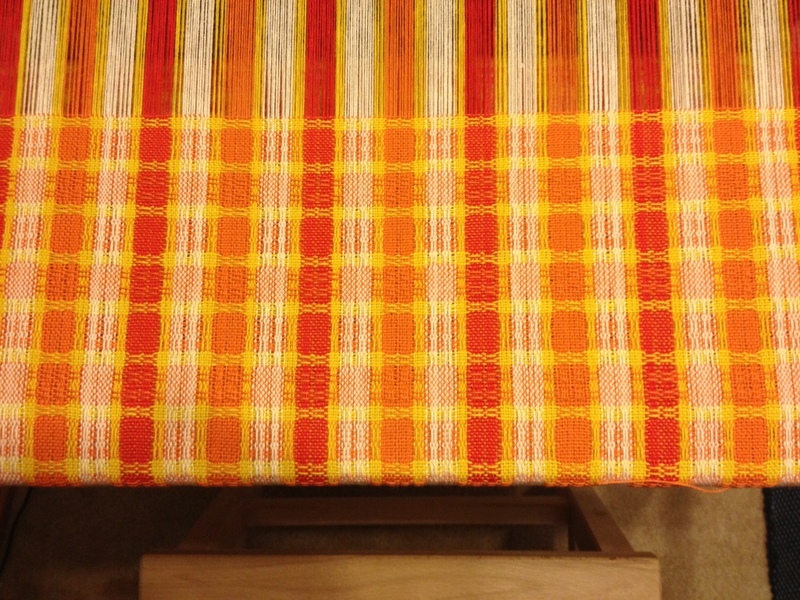 While in the next 2, I’m using red in the weft in addition to the orange and yellow. This is a Bronson Lace weave structure.